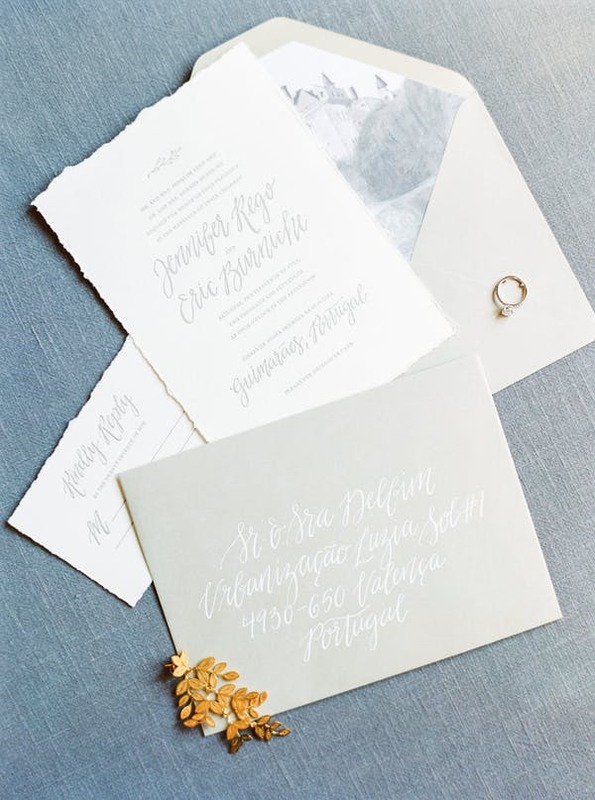 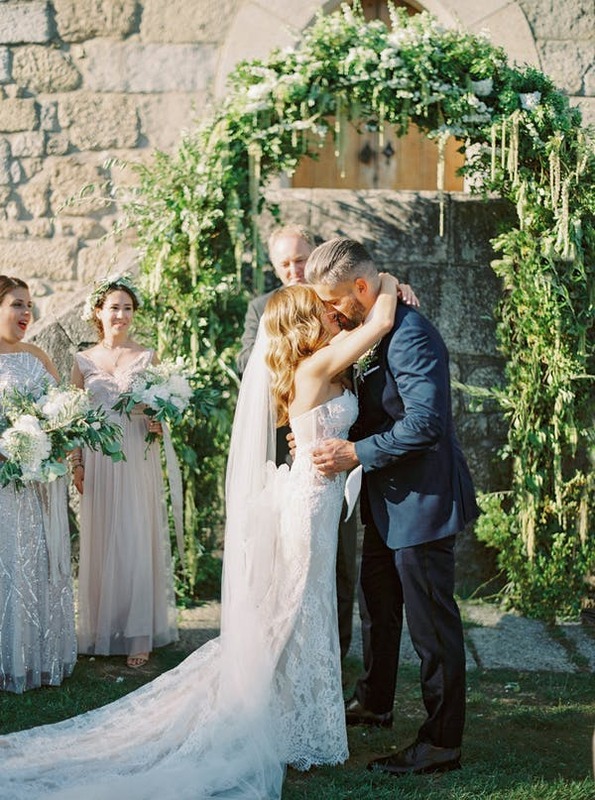 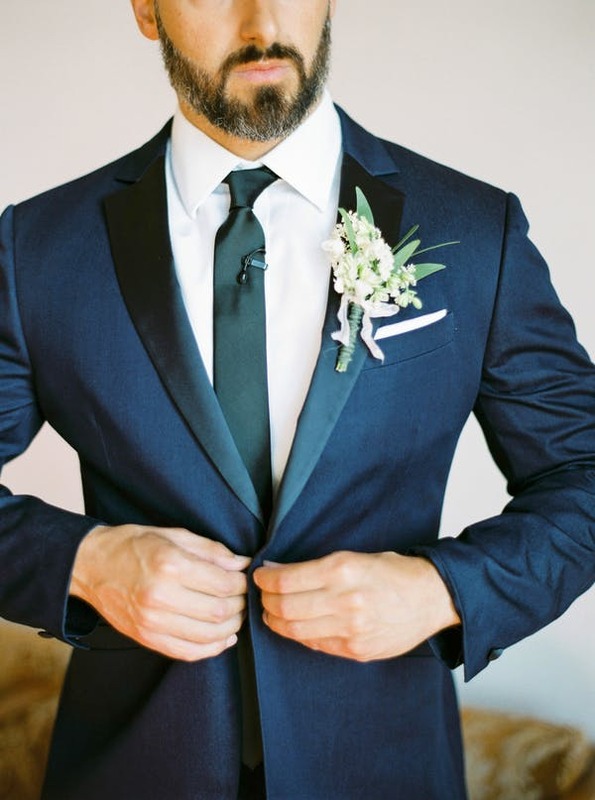 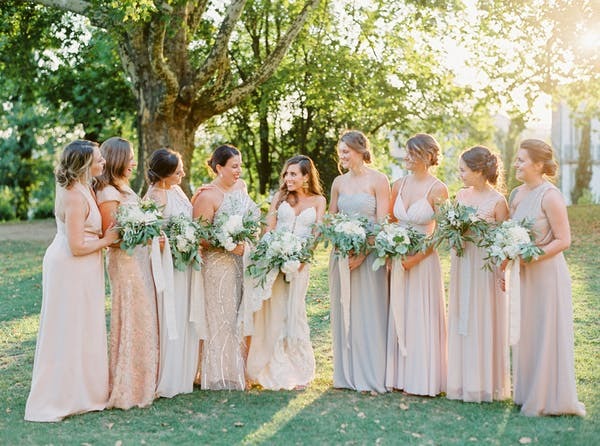 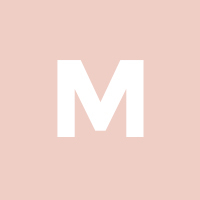 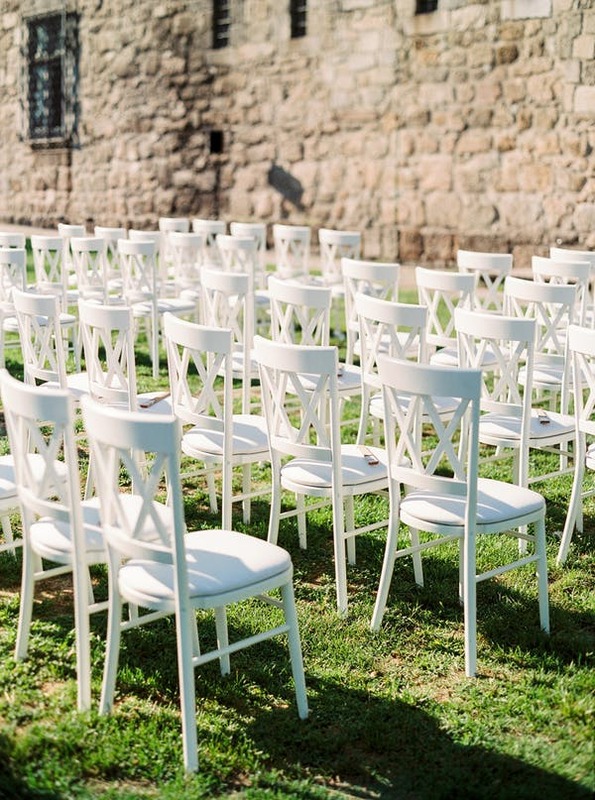 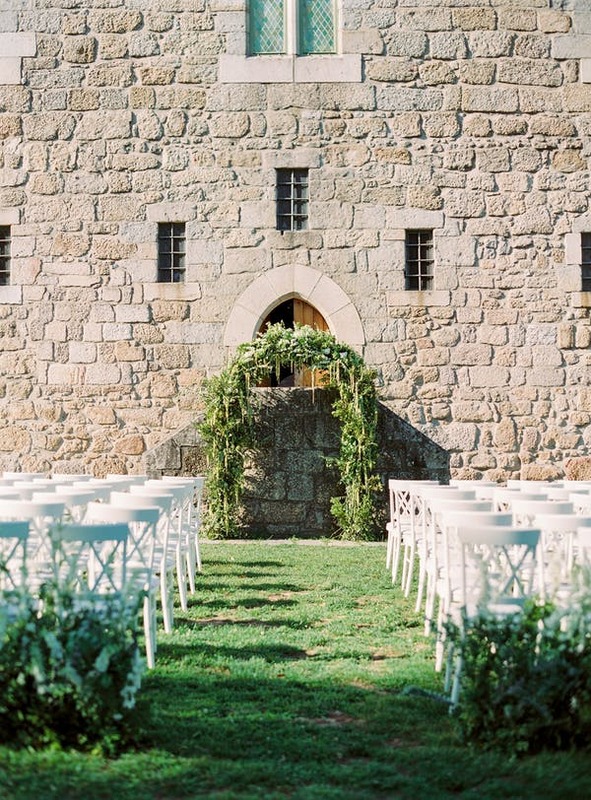 This romantic summer destination wedding in Portugal is one for the books! 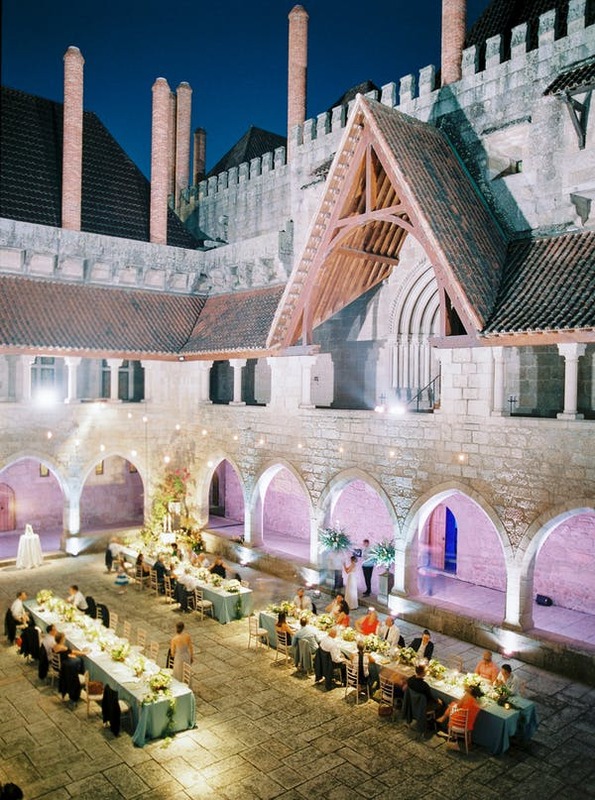 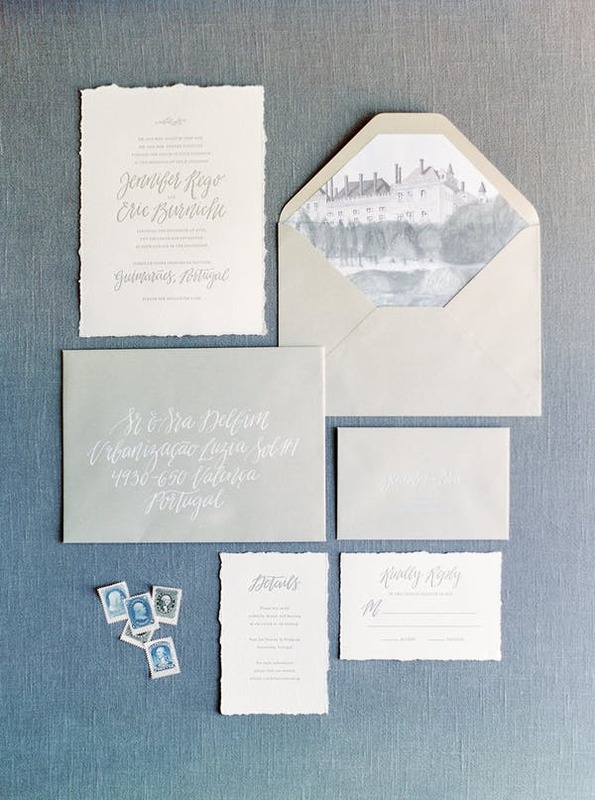 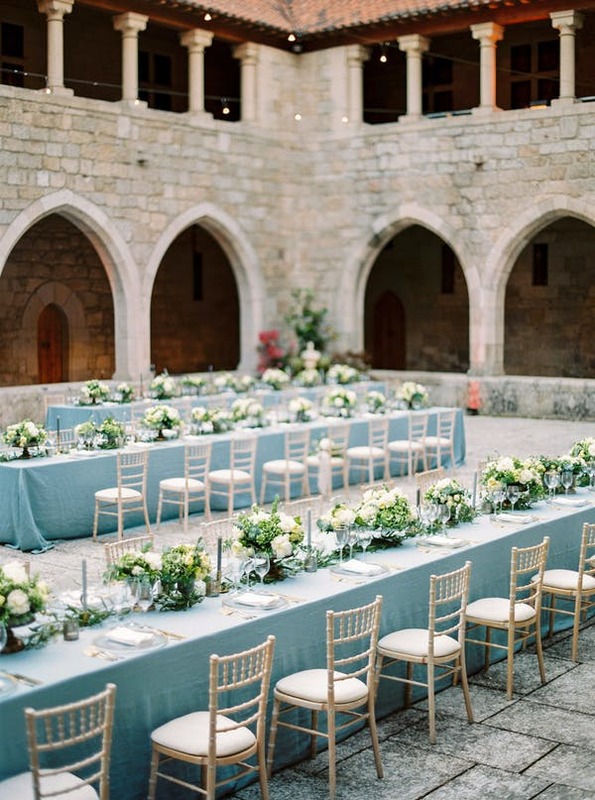 This couple had an intimate wedding, but still went all out on a stunning venue like the the historic palace, Paço Dos Duques De Bragança. 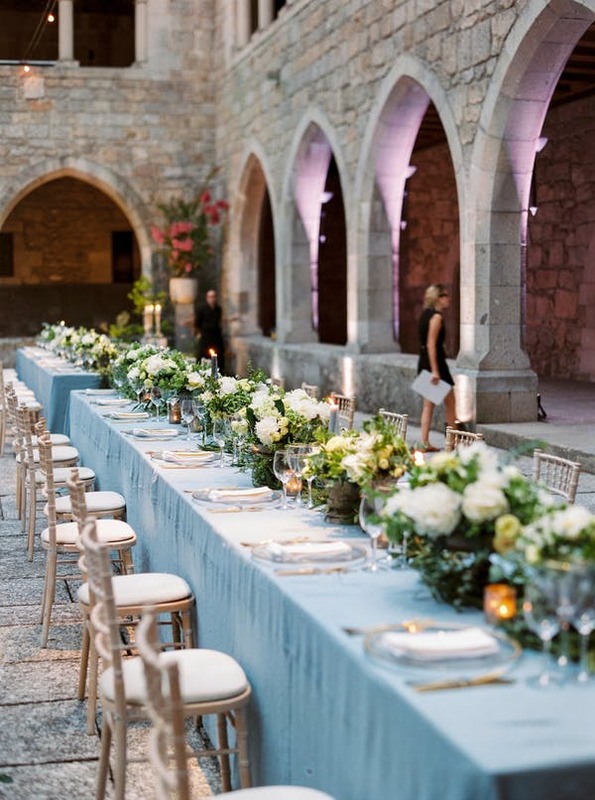 Planned by The Wedding Company and photographed by Brancoprata, every square foot of the dreamy castle venue was dressed in elegance. 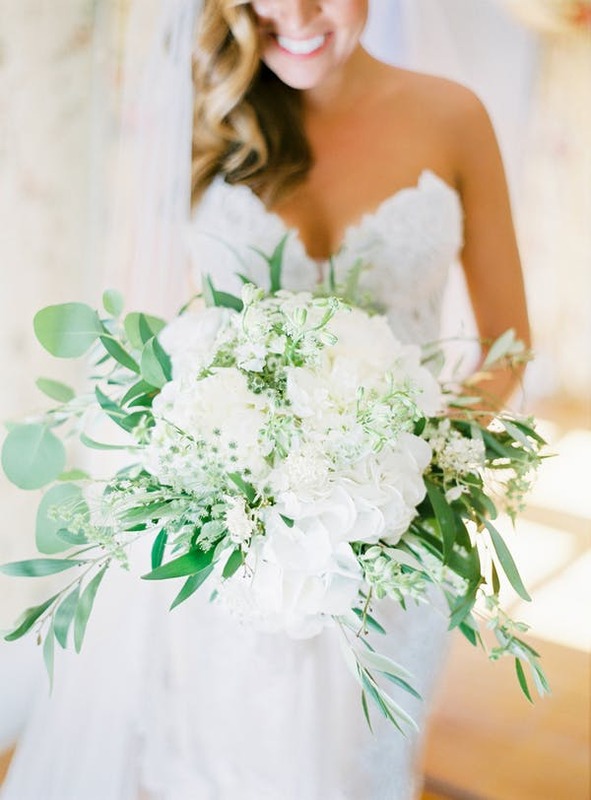 Decoflorália designed breathtaking green and white florals that gave this luxury affair natural chic vibes, including the amazing greenery covered ceremony chuppah. 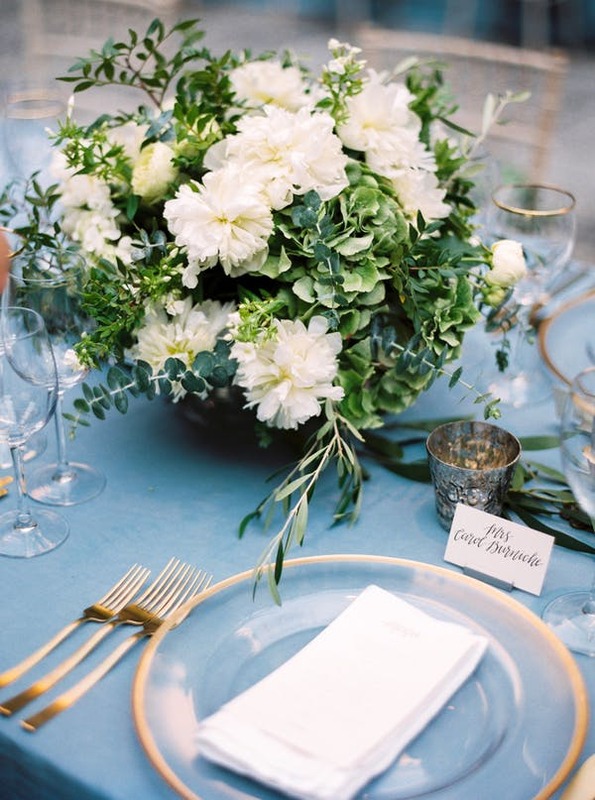 The reception was made for royalty, with classic blue linens, green and white centerpieces side by side, and sophisticated gold accented table decor. 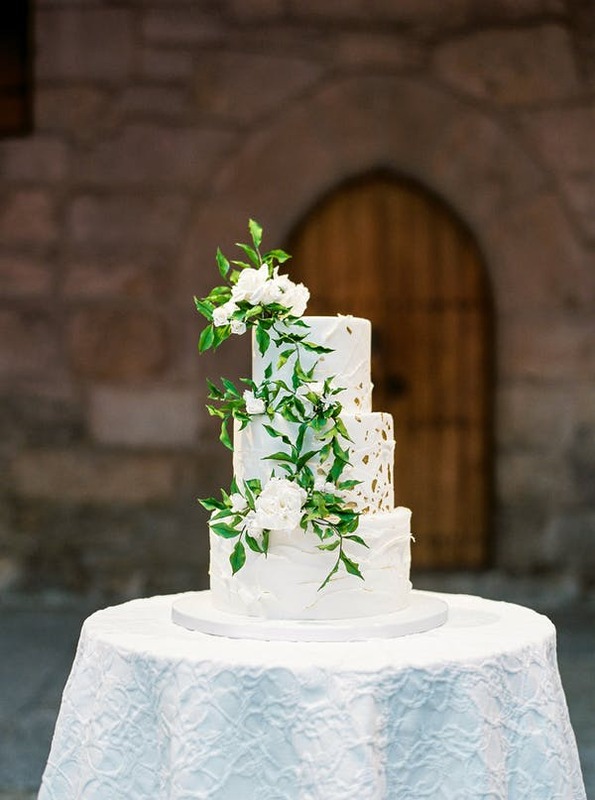 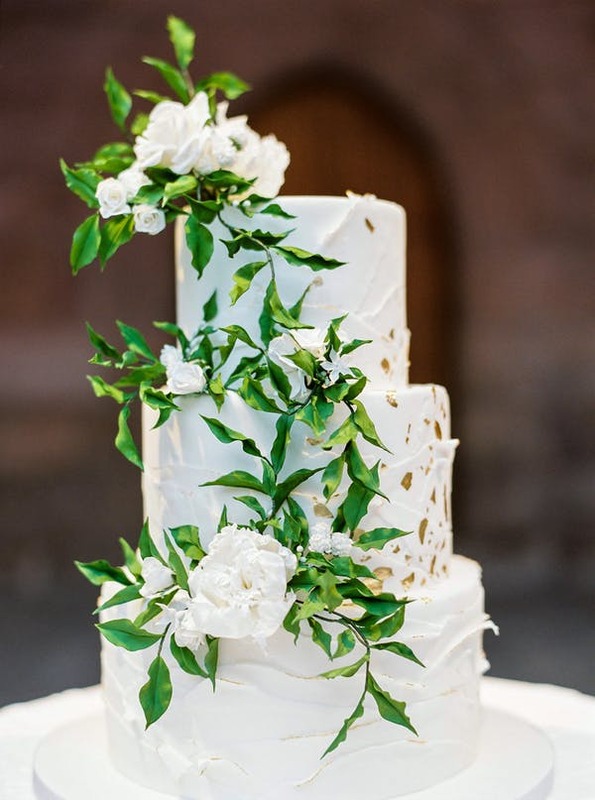 Greenery continued to add simple beauty in the tablescapes and on the gorgeous white textured wedding cake. 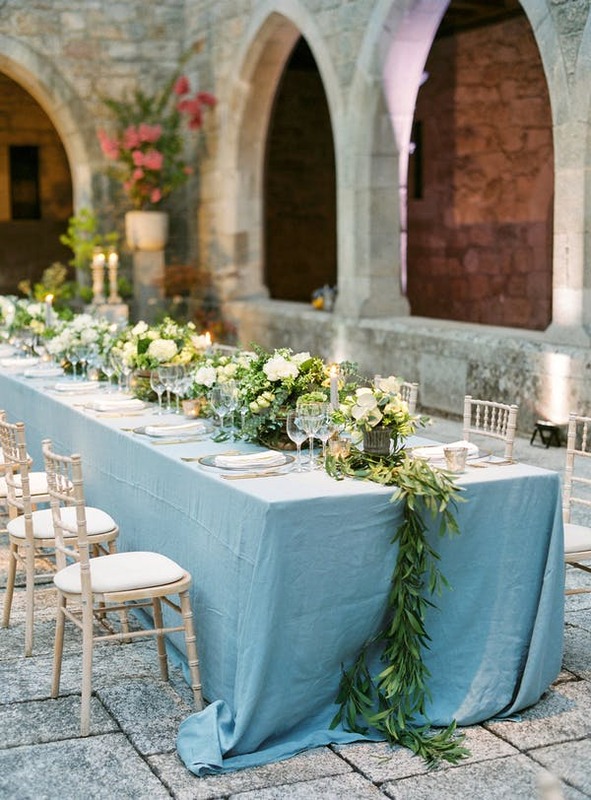 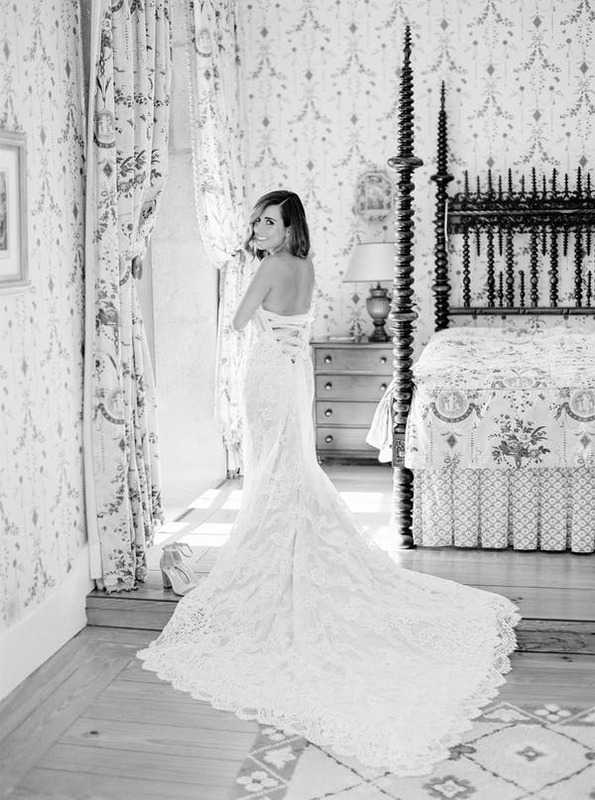 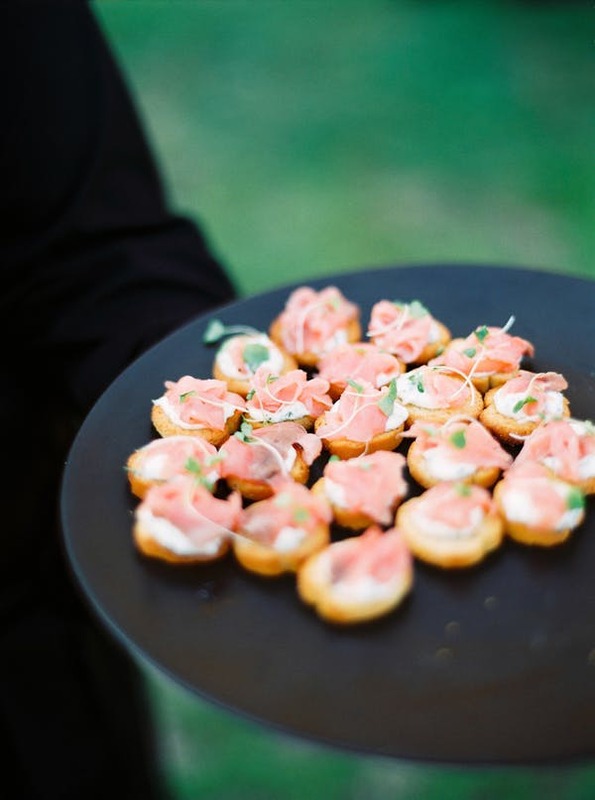 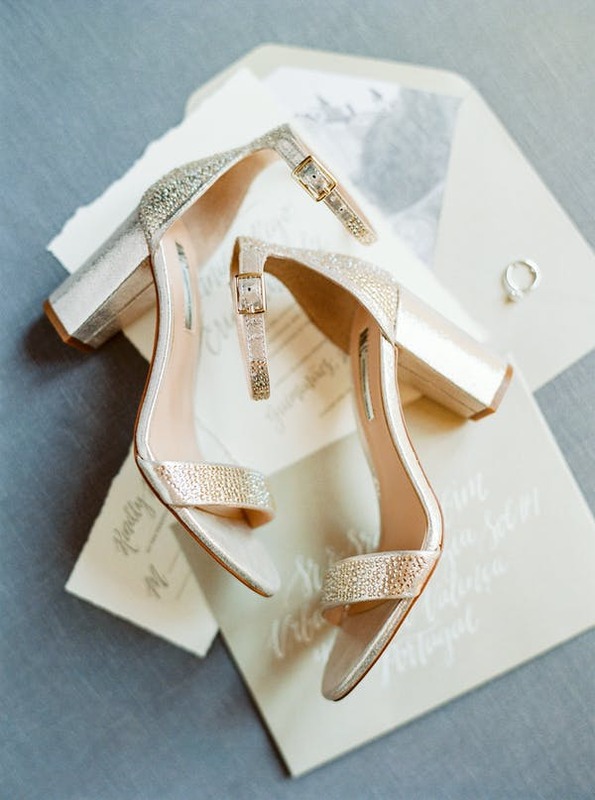 See this ultra romantic destination wedding for yourself below!